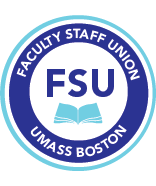 The Executive Committee of the FSU commends the bargaining team for its hard work – work that has been completed in a context of crushing austerity. In the absence of adequate funding from the state, particularly that dealing with the continuing legacy of the original shoddy construction in 1974, the realistic options facing the bargaining team were few. Despite the team’s best efforts, the daily cash rate remains as originally proposed by the administration, with semester rates of $504 at Bayside and $550 on campus. Many faculty, along with others in the university community, are understandably concerned that the significant increase in the cost of parking will have serious, and for some catastrophic, impacts on both their personal situation and on the urban mission of the university. In the absence of adequate funding from the state for our legacy debt, many faculty, staff, and students quite reasonably feel they are being required to pay for resolving a financial problem they did not create. Given this situation, and the serious and diverse concerns many have expressed over the increase, the Executive Committee takes no position on whether members should vote to ratify the agreement or not. Whether the agreement is or is not ratified, we urge FSU members to continue to stand in solidarity with staff and students across our campus as they speak out against the parking fee increase and the effects it will have on our university.